That is how the Moderator of the General Assembly described work carried out by three Church-backed projects in Glasgow. Rt Rev Susan Brown spent a day meeting with people associated with The Well in Govanhill, the Musical Memories project at Springburn Parish Church and 3D Drumchapel to learn more about their activities. The Musical Memories project at Springburn Parish Church. 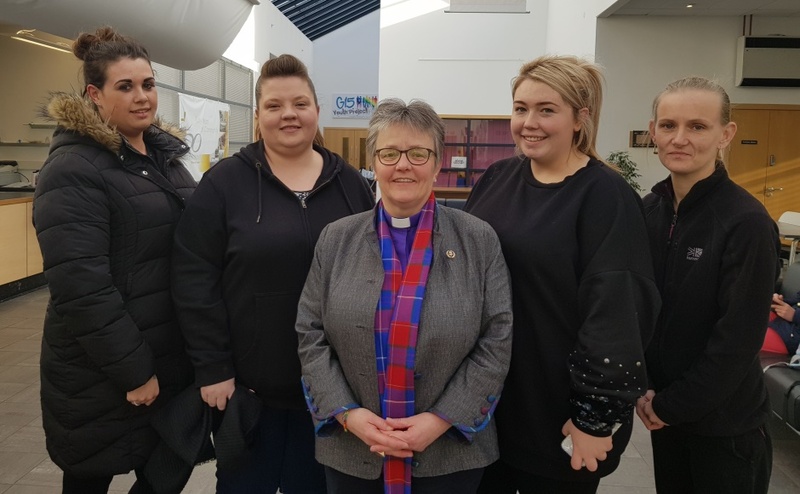 She said the people behind the initiatives, backed by grants from the Church of Scotland’s Go For It fund, were providing “incredible, much needed services” in Jesus’s name. The Well, which is celebrating its 25th anniversary this year, provides a culturally sensitive service where people can access reliable information and advice on issues like finance, welfare rights, housing and immigration. 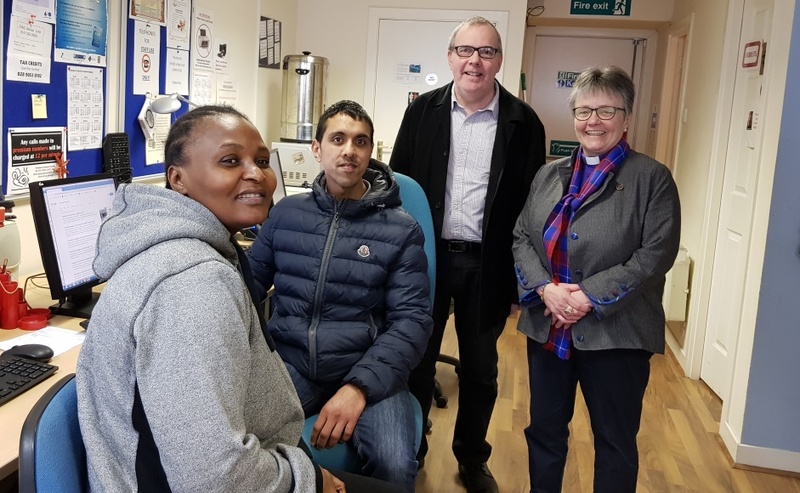 Linked to Queen’s Park Govanhill Church, the organisation also provides language learning, teaches IT skills and provides a safe place for individuals to talk and develop social networks. The Moderator with Dougie Paton, volunteer adviser, Gurmil Singh, a service user applying for a job and Laurentime Eyenga. Musical Memories runs weekly singing sessions for people living with various forms of dementia and their carers. Research shows that the part of the brain that retains melody is less damaged than some others, allowing people to recall songs from their past. The music encourages gentle movement and allows carers to do something with, rather than for, their charges. 3D Drumchapel provide activities, events and workshops to support local families, improving parent/child relations as well as increasing parenting skills and children’s confidence. Many of the families are lone parents, families that are out of work or on low income or affected by issues including domestic abuse, addiction, health related problems and marital breakdown. 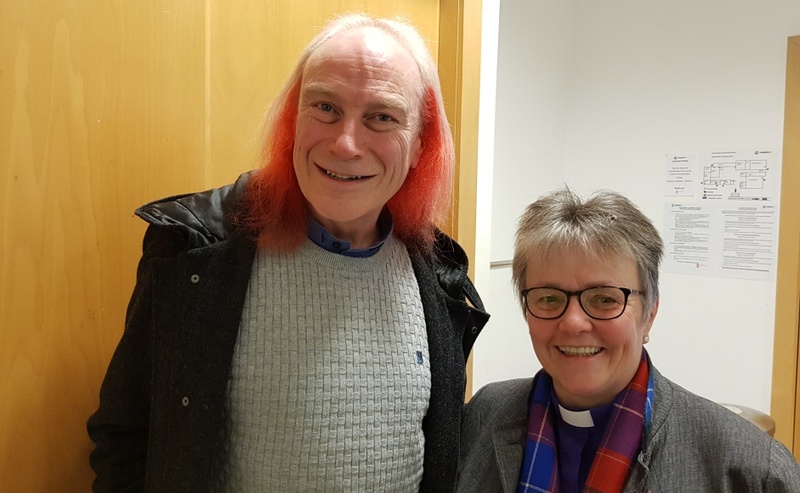 3D Drumchapel is linked to St Andrew’s Church and Mrs Brown met its minister, Rev John Purves, whom she studied theology with at New College in Edinburgh. Mrs Brown said: “What a day – three projects visited and each one very different. 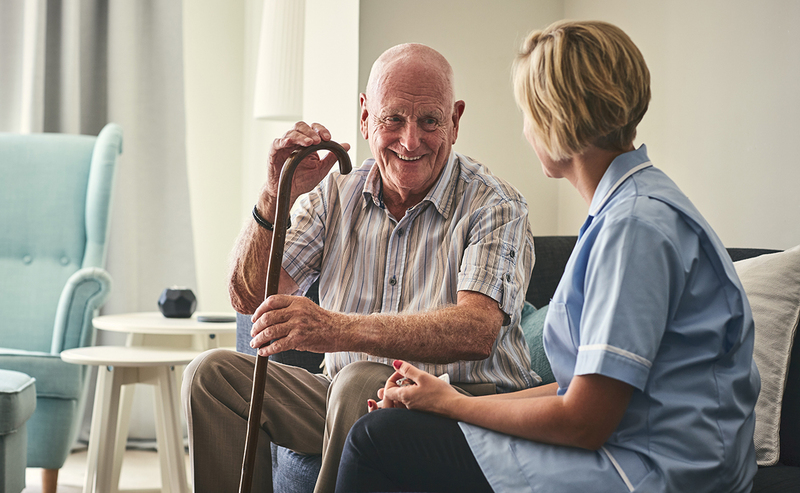 “They offer an incredible and much-needed service in Glasgow. 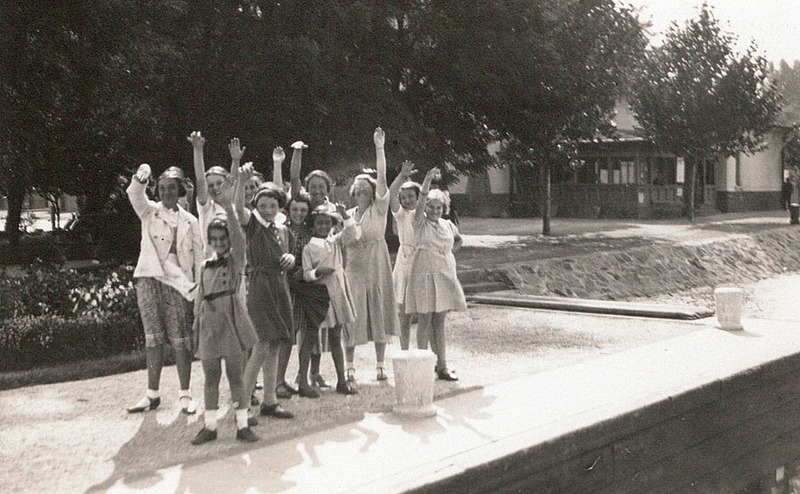 “The Well in Govanhill, an area which has always hosted people from different countries and ethnicities, responds to the needs of individuals and families settled here in Scotland for whom English is not their first language. “It offers a safe and respectful place where help and advice can be sought for everything from form-filling, to counselling and signposting. 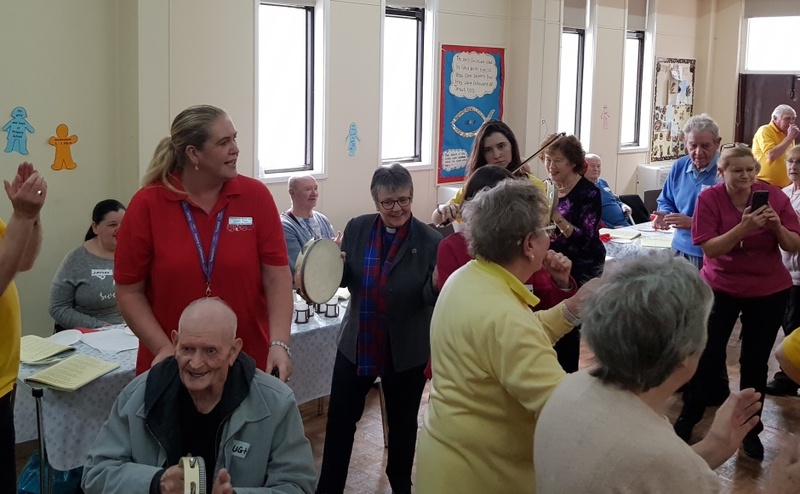 Mrs Brown said the enthusiastic team who lead Musical Memories in Springburn “bring smiles to the faces” of those who participate. “It’s not just the singing, it’s the relationships that are formed, the food that’s eaten and the exercise too as you put your right hand in, your right hand out and shake it all about,” she added. Mrs Brown said Drumchapel 3D is “powerful in what it does”. “Working with families from before children are born, they offer support to mums and dads to be and carry that support on from birth right the way through,” she added. “They work with health visitors and social work, to help parents develop the skills to cope with family life and actively encourage and promote, self-support groups. Rev John Purves, minister of St Andrew's Church in Drumchapel, with his old college pal,. Mrs Brown said the project was a place that people, many of them young women, can bring their children and feel understood. “3D offers them breathing space, it is a lifeline,” she added. “All three projects, enlivened by Go For It funding, are inspirational. The Go For It fund aims to encourage creative ways of working to develop the life and mission of the local church that are transformative for both communities and congregations.